‘These two forlorn individuals were quite a lot alike in their approach to art. They had similar bouts with melancholy and self-doubt and they each chose to illustrate this through, among other things, earnestly crafted self portraiture. It is in these self-same portraits, though, that one begins to see the subtle differences between these two. Both turned to the self portrait as a means of expression, often in reaction to dramatic events in their respective lives. Vincent’s portraits were more obfuscating: he is eternally hiding. For the patient viewer, the true circumstances become clearer on extended observation. It’s there, in the eyes. With Frida…there is no hiding. Not only does she intimate her despair, disgust, love, or fear in the subtle aspects of her eyes, the way she holds her mouth, or the perspective of her head in general, she often creates supplemental narrative all around her physical form. She depicts herself as a corpse, and also as an infant. She illustrates herself as a promiscuous, open and available cosmic being and at other times, an emotional slave to her husband and lover, Diego Rivera. 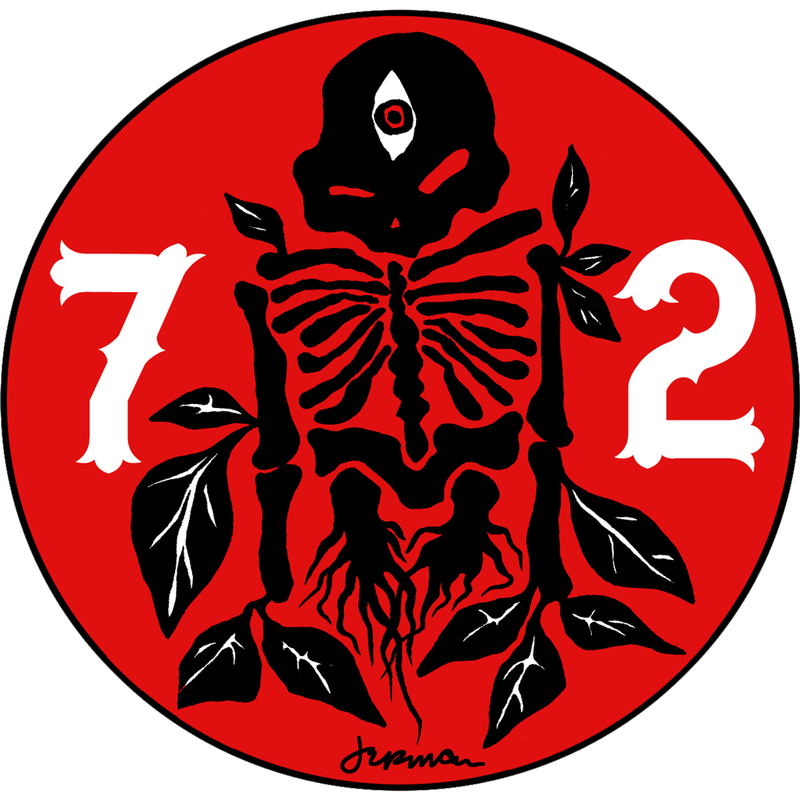 Using symbology and the heavy cultural themes of her people, she does everything short of painting lines of text beneath the imagery, telling you exactly what she is trying to say. And sometimes, she even does that. I think Frida was stronger. She had come to terms with herself and her circumstances on many levels, and was very much displaying in her life what the ancient Gnostics called, ‘the perfect and imperfect Goddess’. In a ‘what if’ world, I think Vincent would’ve sought her out and no doubt in the most pathetic and needy fashion, clung to her. Became hopelessly attached to her. And Frida would’ve cared for him…much in the way I’ve read that Elizabeth Taylor cared for a crumbling and lost Montgomery Clift. It’s what I like to call a ‘wheelbarrow friendship’: a relationship that moves along because one person is willing to pick up the other, and push. There is no ‘romantic relationship’ depicted here. In my ‘what if’ world, I don’t see that as a possibility between these two. Yet, there is something much more profound. In this image, I tried to depict what a quiet moment shared between these two might have been like, after one of Vincent’s infamous episodes…perhaps the most infamous. He would run to her for reassurance and empathy & a listening ear. 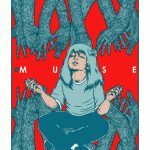 Artist Edition – Masterfully printed by the mechanical hands of Isaac Menge and his team at Lady Lazarus Press, & features a variety of lovely inks. approx. 32×23 inches, printed on an archival cotton rag with hand torn edges. 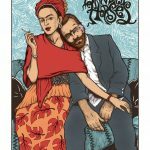 Mini Print –Measuring 11×8 inches, this iconic image featuring Frida Kahlo & Vincent Vangogh is screen printed on gallery cream stock. Signed by Jermaine Rogers. 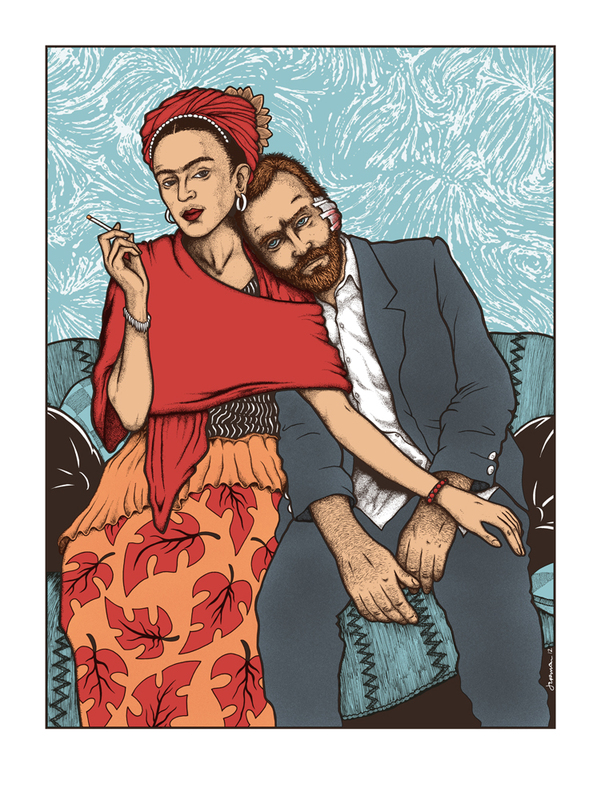 Mini Print SHATTERED FOIL VARIANT – Measuring 11×8 inches, this iconic image featuring Frida Kahlo & Vincent Vangogh is screen printed on Shattered foil stock. Signed and numbered edition of 50 pieces. FIREWORKS FOIL VARIANT – Measuring 11×8 inches, this iconic image featuring Frida Kahlo & Vincent Vangogh is screen printed on Fireworks foil stock. Signed and numbered edition of 50 pieces.